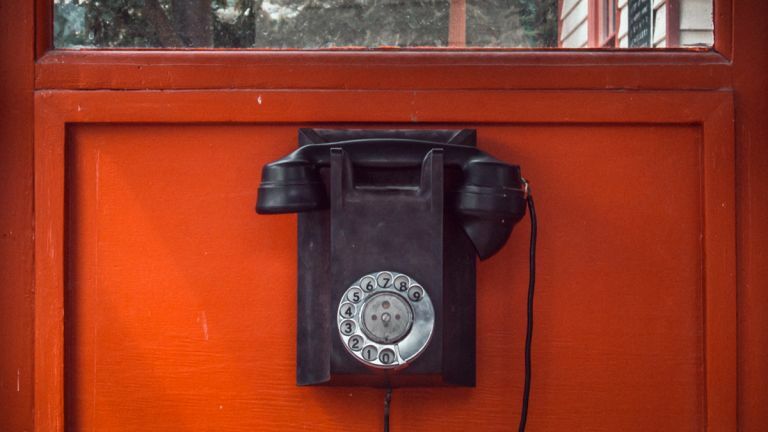 To give landlines their due, they had a good run–from the invention of the telephone back in the 1800s to the present day, they've been responsible for revolutionising the way we communicate with each other, long before the likes of Skype and FaceTime were invented. Today though, they feel very much like yesterday's technology, with a raft of devices available to replace and improve upon them. Here are five that we think are particularly worth your while for making phone calls, besides the obvious choice of your smartphone. Important note: While these gadgets do enable you to make calls, and in some cases to landlines and mobiles, what you can't do is dial the emergency services. If you need to make an emergency call, you're going to need a landline or smartphone to hand. The newest and the cutest of the Amazon Echos has the same calling powers as the other smart speakers in Amazon's range, only this one has a dinky little screen as well – so if you want to make a video call to the grandparents or the grandkids, the Echo Spot can help. In the UK, you can make video calls between Echo devices, as per Amazon's instructions; in the US and Canada, you can actually call landlines and mobile numbers from your Echo Spot too, so we're hoping the same functionality extends to more countries in the future. If you're primarily wanting to be making audio or video calls, then you don't need the best-looking or fastest iPad, because the standard 2017 iPad will do just fine. It has everything you need: cameras front and back, a big and bright screen, and FaceTime. FaceTime is the key to making calls, and you can ring anyone with an Apple ID who's using an iPhone, an iPad or a Mac computer. You can't ring regular numbers like other mobiles and landlines, unless you've got an iPhone nearby that the iPad can place calls through. We're putting the latest Surface Pro in here as our Skype device of choice. Skype is available on a whole host of devices, though as it comes built right into Windows 10, it's very simple to use on a Surface Pro, which gives you the flexibility of a 2-in-1 device too. If you want to make an audio or video call to another device with Skype installed, then everything is free; you can also use Skype to make calls to mobiles and landlines if you get yourself some credits – check out the rates for your country to see how much it'll cost you. The big new selling point of the latest Apple Watch is that you can make 4G/LTE calls from it, no smartphone required. Who knows what Alexander Graham Bell would've made of it, but if a landline isn't an option, you can now use a pocket-sized computer on your wrist. Of course there's much more to the Apple Watch Series 3 as well, including health and fitness monitoring, and notifications and alerts from your phone (as long as your phone is an iPhone). You will need to pay extra for cellular connectivity though, so check your plan. Not to be outdone by the Amazon Echos, Google Home devices can also make calls to landlines and mobiles – though like the Echos, this is only available in the US and Canada at the moment. A roll-out in the UK is apparently imminent, though we don't have a date. Follow Google's instructions and you're ready to ping friends and relatives with a simple voice command. Of course you get all the other features of the Google Home too, which can do everything from read out the news to send videos to a connected Chromecast. What's next for the phone? What will your phone be like in 20 years?